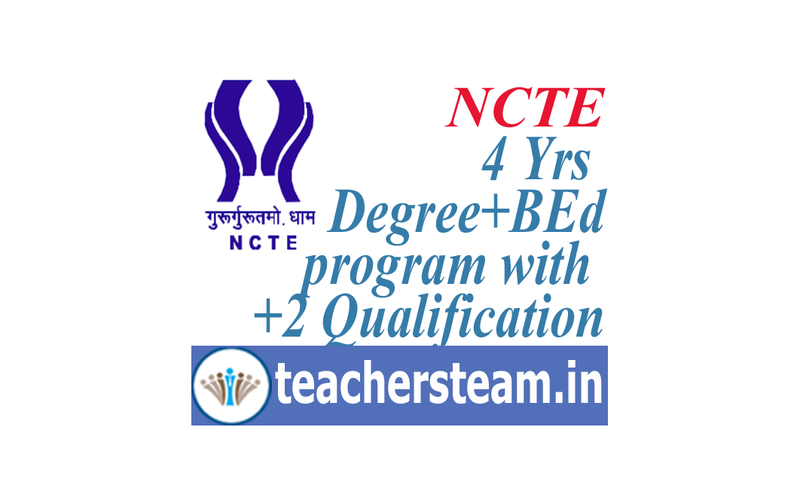 The four year Integrated Teacher Education Program (ITEP) aims at integrating General Studies comprising science(BSc, BEd) and social sciences or humanities (BA, BEd) and professional studies comprising foundations of Education, Pedagogy of School Subjects and Practicum related to the tasks and functions of a school teacher. It maintains a balance between theory and practice, and coherence and integration among the components of the program, representing a wide knowledge base of a secondary school teacher. The four year Integrated Teacher Education Program (ITEP) aims at preparing teachers for upper primary and secondary stages of education. The BSc BEd and BA BEd programs shall be of four academic years or eight semesters including school based experience and internship in teaching. Student teachers shall, however, be permitted to complete the program within a maximum period of six years from the date of admission to the program. and a minimum 840 (eight hundred and forty) working hours, excluding the period of examinations and admissions. Total working hours shall be a minimum of 40 (forty) hours to be spread over one week. A working day will be of a minimum of 5-6 hours adding up to a minimum of 36 hours per week. The institution shall charge only such fee as is prescribed by the affiliating body/state government concerned in accordance with provisions of National Council for Teacher Education (NCTE) (Guidelines for regulation of tuition fees and other fees chargeable by unaided teacher education institutions) Regulations, 2002, as amended from time to time.